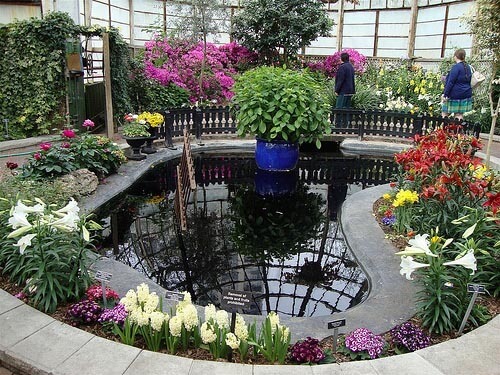 No matter what time of year you're visiting Chicago, Lincoln Park and its Conservatory is a great place to go to. In the warm months of the year, the conservatory is filled with beautiful plants and flowers, and during winter, it's a great place to escape the cold. One of the highlights of the Lincoln Park Conservatory during the winter is the large train they have on display. The 100 plus year old conservatory is filled with beautiful things and has a lovely, serene sort of atmosphere to it. As it is very close to the Lincoln Park Zoo, it's a great idea to try to visit both of them on the same day. Together, this is a wonderful way to spend a day in Chicago, especially for a family. Last updated by Amanda Odoerfer on 20 March, 2011 in Destinations. Thanks for the photo and the brief post. I have heard of the Conservatory but always wondered what people did in the winter.